Join us for an evening of sketch comedy! Oakland’s very own sketch comedy group, Running With Glitter, is excited to bring you an all-new lineup of original sketches. This time they take on such hot-button topics as cilantro packaging, FOMO, activist moms, and New Jersey pool-house weddings. You don’t want to miss this delicious hot mess of sketch comedy goodness! 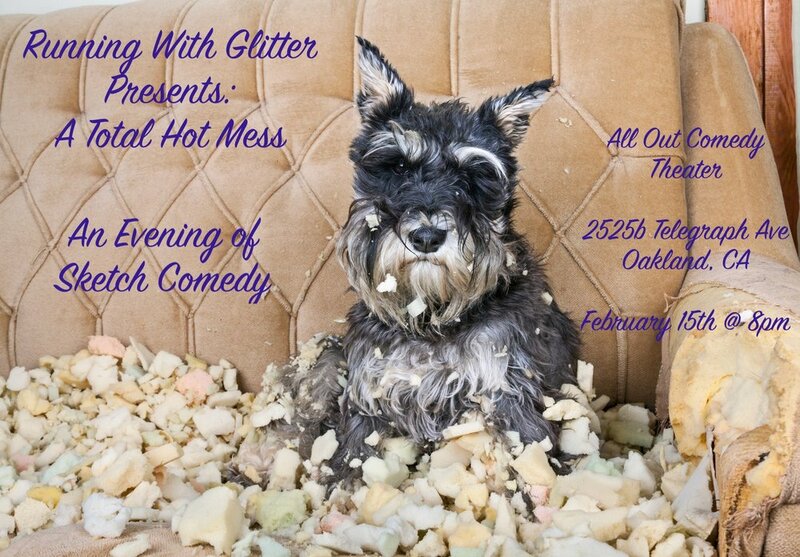 Running With Glitter features some of the Bay Area’s finest sketch comedy talent. RWG’s sold-out show at All Out Comedy Theater last May garnered rave reviews, being called “better than Saturday Night Live” by one of the writers’ friends and “I’m so proud of you” by one actor’s mom.